missed most of it. So I'll just leave this here. the other great thing that came out this janken tournament. In Janken Tournament, 3 members with surname Kojima had a bet, if either of Kojima Mako (+Kojima Natsuki) and Kojima Haruna lost to another, they will lost their right to use their surname for a week. The results was Kojima Mako and Kojima Natsuki lost to Kojima Haruna, they are banned to use their surname "Kojima", AKB48 official site and AKB48 Theatre have been updated their member profile. actually they had to change stuff like their G+ name too! Don't worry, everyone. This is only for a week. Thunderduck san for the best prediction! On September 16, AKB48 group held their annual "Janken Tournament" at Yokohama Arena, and the title of the 6th Janken queen went to AKB48 team K member Fujita Nana. Thanks to this, Fujita will be making a solo debut. Fujita's opponent for the final round was Nakanishi Chiyori. Before the match, Fujita was making aggressive comments like, "I feel like I could win if it's Chiyori," but at the moment she secured her victory, she covered her face with her hands, and dropped on her knees. When she received a trophy from the MC Fukuzawa Akira, she said while bursting into tears, "What have I done? Please buy my CD," and continued, "but it's a chance I obtained after 5 years, so I will do my best," which brought a big cheer from the audience of 12,000 fans. 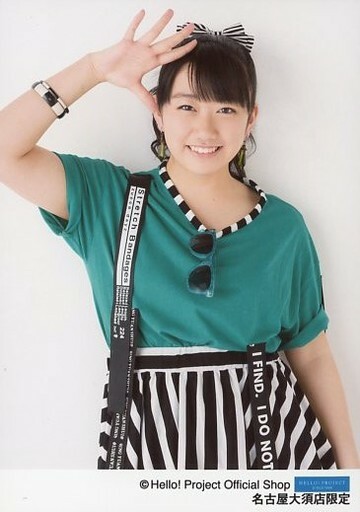 As mentioned earlier, the winner gets to make her solo debut, while the members who ranked 2nd place to 16th, will be singing a coupling track for the CD, and the center of the coupling song will be the runner-up, which is Nakanishi this time. Fujita Nana (AKB), Nakanichi Chiyori (AKB), Nomura Nao (AKB), Sato Kiara (AKB), Nishino Miki (AKB), Kondo Moeri (AKB), Fukuoka Seina (AKB), Jonishi Kei (NMB), Yokoyama Yui (AKB), Kojima Natsuki (AKB), Yokoshima Aeri (AKB), Iino Miyabi (AKB), Kizaki Yuria (AKB), Abe Mei (AKB), Aigasa Moe (AKB), and Watanabe Miyuki (NMB / AKB). The winners of the past Janken Tournament include Uchida Mayumi, Shinoda Mariko, Shimazaki Haruka, Matsui Jurina, and Watanabe Miyuki. TokyoGirlsUpdate.com - Lucky 7! Nana Fujita is Crowned Champion of 2015 AKB48 Janken Tournament! AKB48 Team K member Fujita Nana (藤田奈那) won Janken Taikai this year, and is was announced the prize "her solo debut single" will be released at 23 December 2015. "Breaking news: Janken Queen Fujita Nana's debut single has been confirmed its release date at 23 December 2015." CROSS-POSTING BECAUSE OF THE SECOND HALF OF THE ARTICLE!! The title of AKB48's 42nd single, which will be released on December 9th, is "Kuchibiru ni Be My Baby". This announcement was made on November 7th during a handshake event at Makomanai Sekisui Heim Ice Arena in Hokkaido. Takahashi Minami, who will be graduating from the group in December, will be the center for "Kuchibiru ni Be My Baby", her first time since 2006's Sakura no Hanabiratachi". Besides Takahashi, the senbatsu members for AKB48's 42nd single are Iriyama Anna, Kashiwagi Yuki, Kato Rena, Kizaki Yuria, Kitahara Rie, Kojima Haruna, Sashihara Rino, Shimazaki Haruka, Matsui Jurina, Minegishi Minami, Miyazawa Sae, Miyawaki Sakura, Yamamoto Sayaka, Yokoyama Yui, and Watanabe Mayu. For the coupling track, it will include Yamamoto Sayaka's center song "365 Nichi no Kamihikouki", which was picked up as the theme song for NHK morning drama 'Asa ga Kita'. Additionally, it was announced that Fujita Nana's solo debut single (currently untitled) will be released on December 23rd. Fujita's solo debut was determined after she won the "Janken Tournament" on September 16th at Yokohama Arena. Regarding her solo debut single, she commented, "When I heard the exact date of my solo debut, I thought once again about how crazy it's going to be. Anyway, I will do my best, so please buy the CD!" The coupling track for Fujita's solo debut single will be a new song (currently untitled) sung by the 2nd to 16th place winners of the "Janken Tournament". They are Nakanichi Chiyori, Nomura Nao, Sato Kiara, Nishino Miki, Kondo Moeri, Fukuoka Seina, Jonishi Kei, Yokoyama Yui, Kojima Natsuki, Yokoshima Aeri, Iino Miyabi, Kizaki Yuria, Abe Mei, Aigasa Moe, and Watanabe Miyuki. 2015 Janken Queen Fujita Nana (藤田奈那) solo single's title is "Migiashi Evidence" (右足エビデンス), the single will be released at 23 December 2015. 3. Migiashi Evidence off vocal ver. 4. Kimi wa imamade dokoniita? off vocal ver.